Noelio Gonzalez, born in Camaguey, Cuba, was selected for study at the National Academy, where only a handful of Cubans, and only seven in each arts specialty, are selected to attend. In 1992, he graduated from the National Institute of Arts, and in 1994 came to the US, where his sculpture has been exhibited in countless art exhibitions here and in Europe. His work portrays the spiritual contest for surviving, with every piece representing an energetic form with its own unique abilities and strengths. Noelio currently lives in Orlando, Florida, where he works on bronze casting, welding and paintings. 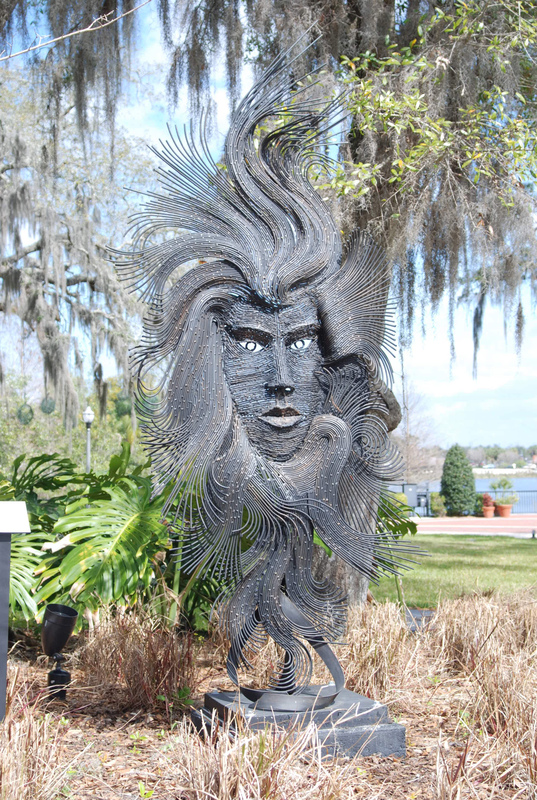 This sculpture is sponsored by Seminole Cultural Arts Council.